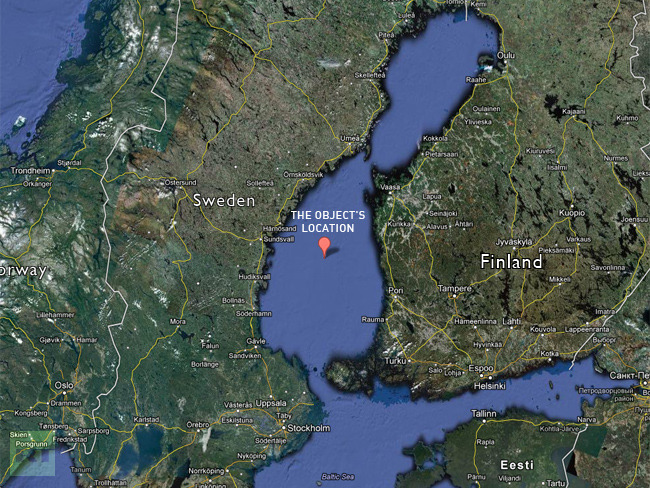 A "UFO-shaped" object, found at the bottom of the Baltic Sea last year, has puzzled many. 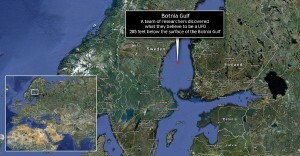 And a Swedish expedition that plunged into the deep eventually surfaced with more questions than answers. Covered in soot, with little "fireplace"-like structures and lying at the end of a 300-meter "runway" this is not something you would expect to find sitting on the sea floor. And whatever you think about extraterrestrial life, "the thing" is still there and there has to be an explanation. So what could it be? 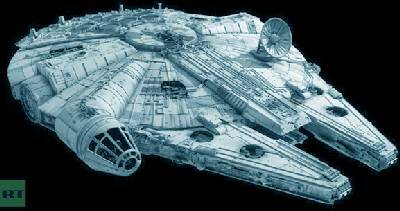 "We've heard lots of different kinds of explanations, from George Lucas's spaceship the Millennium Falcon to It's some kind of plug to the inner world, like it should be hell down there or something," The Daily Mail quoted one of the founders of the Ocean X Team, Peter Lindberg, as saying. The massive object rises three to four meters above the seabed and is about 60 meters in diameter. 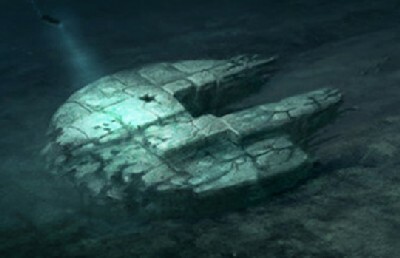 Members of the expedition describe it as something round, with rugged edges and concave sides resembling a "huge mushroom" or, if you will, the Millennium Falcon spaceship from Star Wars. The central part of the object has an "egg-shaped hole" leading inside. Surrounding the hole, they found odd-looking circular rock formations which looked almost "like small fireplaces" with stones covered in "something resembling soot." "Since no volcanic activity has ever been reported in the Baltic Sea, the find becomes even stranger," said Lindberg in a press release at OceanExplorer.se. "As laymen, we can only speculate how this [could be] made by nature, but this is the strangest thing I have ever experienced as a professional diver." ‘First we thought this was only stone, but this is something else,’ diver Peter Lindberg said in a press release. Surrounding the hole, they found a strange, unexplained rock formation. Adding fuel to the speculative fire, they said that the rocks looked ‘like small fireplaces’ and the ‘stones were covered in something resembling soot’. ‘Since no volcanic activity has ever been reported in the Baltic Sea the find becomes even stranger,’ Mr Lindberg continued. The soot also proved cause for concern for Mr Lindberg’s colleague on the Ocean X explorer team, Stefan Hogeborn. ‘During my 20-year diving career, including 6,000 dives, I have never seen anything like this. Normally stones don’t burn,’ Mr Hogeborn said in the release. 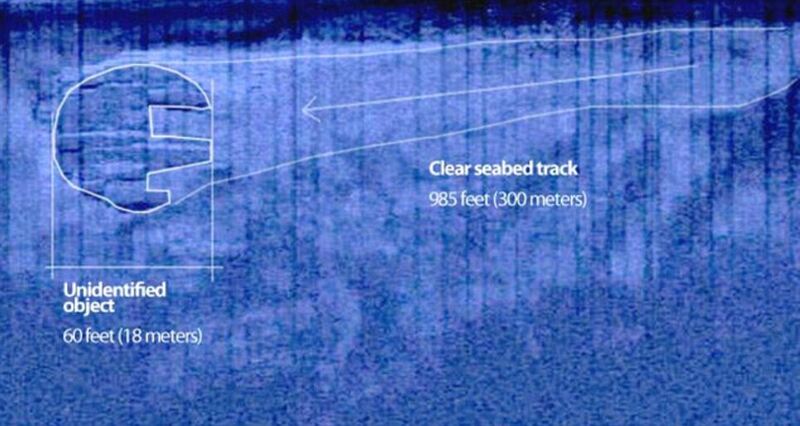 Another find that they saw in person for the first time was the 985-foot trail that they described ‘as a runway or a downhill path that is flattened at the seabed with the object at the end of it’. As it was before the recent dive, the story behind the object is anyone’s guess. ‘We’ve heard lots of different kinds of explanations, from George Lucas’s spaceship – the Millennium Falcon – to “it’s some kind of plug to the inner world,” like it should be hell down there or something,’ Mr Lindberg said. Speaking to Fox News, he said: ‘We don’t know whether it is a natural phenomenon, or an object. 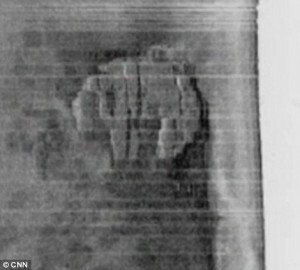 We saw it on sonar when we were searching for a wreck from World War I. This circular object just turned up on the monitor. Part of the trouble they face, however, is that they have no way of telling what is inside the supposed cylinder- whether it is filled with gold and riches or simply aged sediment particles. They’re hoping for the former, and history seems to be in their favour. The Baltic Sea is a treasure trove for shipwreck hunters, as an estimated 100,000 objects are thought to line the cold sea’s floor. The company have created a submarine that they hope will appeal to tourists and wannabe shipwreck hunters who will pay to take a trip down to the bottom of the Baltic Sea to see for themselves.